Seems like a good idea, wouldn’t you say? The U.S. Army Corps of Engineers has agreed to review Harris County’s flood control regulations to gauge whether they sufficiently neutralize the flood risk posed by the region’s booming development, a question that has drawn increasing scrutiny after a series of storms in recent years, capped by Hurricane Harvey, have devastated the region. 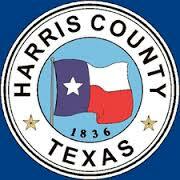 The Harris County Flood Control District already had begun a review of the regulations and asked in August for a third-party re-examination by the Corps. The district expects preliminary results at the end of October. The county’s flood control rules largely center around a principle called “detention,” a requirement that any development – subdivision, strip mall, gas station – hold runoff in a basin and release it slowly so as to not increase flooding downstream. Regulations mandate that the basins, also called detention ponds, hold enough water to mimic the landscape being paved over. After repeated storms in recent years, a growing chorus of critics has connected the county’s rapid development with its destruction. Following last year’s Tax Day floods, a Houston Chronicle investigation found that flood control regulations, including detention requirements, routinely were undercut by developers. Jim Blackburn, an environmental attorney who has sued the Corps and the county over flood control issues, said a Corps review would not be objective, given the ties between the agencies. “They need an independent assessment because the problem with Harris County’s detention regulations is they are not strict enough,” said Blackburn, a co-director of Rice University’s center for Severe Storm Prediction, Education, and Evacuation from Disasters. The city will be doing its own separate review of its detention requirements in the coming months. Doing the review is one thing, but enforcement is quite another, and ensuring that the review is sufficient and spares no concern about anyone’s feelings is still one more. There’s no room for denial anymore. We’ve been given a very clear demonstration of what the flaws in our current policies are. There’s no excuse for not getting it right this time. Calling Tropical Storm Harvey’s devastation a “game-changer,” Harris County Judge Ed Emmett on Monday called for a sweeping reexamination of the region’s flood control strategy, a process that could include billions of dollars to upgrade aging dams, building a new storm water reservoir and ramping up regulations to tamp down booming development in flood-prone areas. The set of options outlined by Emmett on Monday, if implemented, would be the biggest change in decades to how the Houston region protects against its perennial rains and floods. Emmett said everything would be on the table, including large-scale buyouts, banding with surrounding counties to create a regional flood control district and seeking authority from the state to levy a sales tax to pay for what likely would be a massive initiative. Emmett, a Republican who has served as county judge since 2007 and largely is seen as a pragmatist, likened the changes to a post-flood push in the 1930s that led to the creation of the Harris County Flood Control District and the construction of the Addicks and Barker dams on the city’s west side, which today protect thousands of homes of homes, downtown Houston and the Texas Medical Center. Jim Blackburn, an environmental lawyer and frequent critic of Harris County’s flood control strategy, was encouraged after hearing Emmett’s comments Monday. Included in the options Emmett outlined Monday were buyouts, not just of individual homes, but whole tracts of land. He said a wish-list of homes that are not already being targeted by projects, such as the upgrades on Brays Bayou, could cost $2.5 billion. A regional flood control district could be modeled after the Harris-Galveston Subsidence District, created in 1975 to oversee the conversion from well water to surface water after sinking ground alarmed residents and public officials. Emmett said given the repetitive flooding, the 100-year standard the county uses to design projects and regulate development, would need to be reexamined. “We basically had three 500-year events in two years,’ he said. An additional reservoir and a levee in the northwest part of the county to back floodwaters from Cypress Creek – both part of the options Emmett outlined – had been part of an original U.S. Army Corps plan when it built the Addicks and Barker reservoirs. Those projects failed to materialize, however, and land costs became prohibitive as people moved in. As we now know, this includes a bond issue of up to $1 billion. On top of that, Commissioners Court has filed an application with FEMA to buy out some houses in high risk areas. Emmett has also mentioned federal funds for some projects, which state officials are also seeking, reallocating the county budget to put more of an emphasis on flood mitigation, and maybe asking the Lege to provide another revenue stream such as a sales tax. Some of this may now be mooted by the bond issue, and some of it may be discarded for lack of support. The important thing is to get the conversation started, so kudos to the county for that. Offcite points to a way forward. We should push for collaborative regional planning entities in lieu of independent fiefdoms of utility districts. Texas has produced innovative approaches in the past. Galveston reinvented municipal government to raise the entire city up after the Great Storm of 1900. When subsidence started swallowing up whole neighborhoods, the entire region worked together to transition from ground to surface water. Bayou Greenways 2020 is creating the beginnings of a new backbone that marries flood mitigation, parks, transportation, ecosystems, and economic development. The proposed Lone Star Coastal National Recreation Area would provide a tourism infrastructure for private landowners and institutions that agree to preserve the natural buffers that protects our coast. Likewise, the dikes, floodgates, and seawalls we need to protect lives and industry from storm surges and rising sea levels can be designed to help not hurt wildlife and improve rather than impede public access to our bays and beaches. We should look to the lessons learned from New Orleans, where the response to Katrina exacerbated inequalities, and from the Dutch, who have developed a holistic approach to water management. 2) We must get a handle on the projected rainfall from big storms such as Harvey as well as the simpler frontal movements such as those that generated the Tax Day and Memorial Day floods. Our current concepts of the 100-year and 500-year floods and flood plains are obsolete. We have to stop denying that our climate is changing. We have had too many big storms over the last few years to simply write them off as aberrant. They are part of a new pattern of severe storm events that will plague us for decades to come, according to climate change experts. We need to understand what we are dealing with and start giving our citizens first-class information about these issues. State and local government employees are afraid even to mention climate change because of the politics – because of fear of losing their jobs. Well, the politics need to be damned if they refuse to recognize a key element of protecting our citizens from current and future flood problems. 3) Addicks and Barker reservoirs are the best flood control investment ever made in the Houston region, combining large land areas and high levees to impound water upstream of the heart of the city. But these dams are currently in bad shape and are rated as two of the six most dangerous dams in the United States due to structural issues that are compounded by the large population protected by them. The protection and restoration of these dams is a major priority that must be taken forward. Even more important is the fact that over the 60 or more years that they have been protecting us, they have slowly been filling with dirt and sediment from stored storm water. The capacity of these reservoirs could be increased substantially by removing this accumulation, and we should do it. There is at least one new reservoir that should be constructed in northwest Harris County that can help on flooding along Cypress Creek, Bear Creek and Buffalo Bayou. It should be pursued as soon as possible, and other upstream locations should be found on virtually every stream in our region. 10) Our pattern of development has been outward from the center of the city up the watersheds of the various bayous and creeks. As such, our new upstream development has dumped increased runoff on our older downstream subdivisions and commercial structures. Inadvertently, we have flooded older neighborhoods while attempting to keep flood-control costs lower in the new ones, effectively subsidizing new development on the backs of the downstream residents. Floodplain maps have grown, and more people are in the 100-year floodplain than in the past. We must ensure policies exist that require no more runoff from new development than was the case before development. Read the whole thing, both of them. We can choose to do things differently. It will take years to make it happen, but it can happen if we want it to. 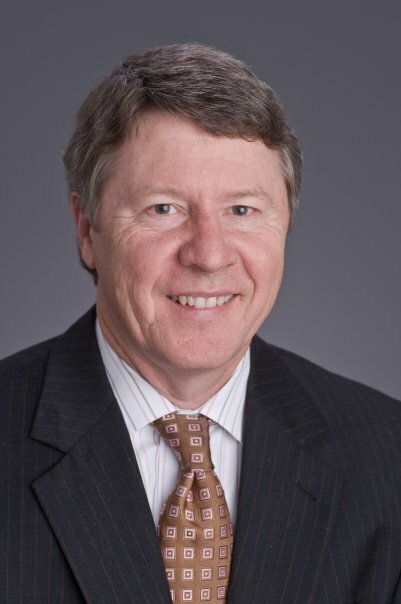 On March 20th, at the Fourth Annual Meeting of the Memorial City District Drainage Coalition (dba Residents Against Flooding), well-known Environmental Attorney Jim Blackburn will present Collusion or Incompetence: Flooding in West Houston, his assessment of the current state of drainage in West Houston which he believes is a microcosm of problems occurring throughout the City of Houston. March 20th @ 7:00 p.m.
Blackburn has been involved in many environmental and flooding-related issues over the years. I saw him speak back when the Katy Corridor Coalition was trying to influence the I-10 expansion project, and he’s worth listening to. Check it out if you can. We have a recommendation for how to prepare for a future Hurricane Ike. A giant floodgate at the entrance to the Houston Ship Channel, coupled with a 130-mile wetlands recreation area, should be built to protect Houston from hurricane storm surges, a research team from five Texas universities recommended Monday. The two-year study led by the Severe Storm Prediction, Education and Evacuation from Disasters Center, or SSPEED, at Rice University also recommends a 20-mile levee along Texas 146 and another to protect the bay side on the eastern end of Galveston, already protected on the Gulf side by a sea wall. The proposals are on a much smaller scale than the Ike Dike concept, which envisions a storm gate between Galveston Island and the Bolivar Peninsula coupled with a massive levee protecting both barrier islands. “We have looked very carefully at the Ike Dike proposals,” said Philip Bedient, a professor of engineering at Rice University. “We at the SSPEED Center don’t think it has a chance of getting built in our lifetime. Jim Blackburn, environmental law professor at Rice University, said each proposal can be undertaken separately. The full report is here, and you can see some background on this here and here. The real question is not whether this is the best or the most cost-effective solution. The question is whether this or any solution can be funded by our dysfunctional Legislature and Congress. If we believe those who claim there isn’t the money to build some mitigation now, what will we believe when we need to rebuild everything after a catastrophic storm? Swamplot has more. The “Ike Dike”, a network of dikes and gates off the coast of Galveston that was first proposed last year by William Merrell as protection against storm surges from future hurricanes, is being discussed more seriously by the Gulf Coast Community Protection and Recovery District. Although the Ike Dike may not be the final solution — environmentalists have raised concerns about the effect of gating off Galveston Bay and the project’s potential to spur development in sensitive areas — Merrell is happy there will be a comprehensive study of the issue. “It will get a fair shake,” Merrell said of the Ike Dike. A new report released last week by Rice University’s Severe Storm Prediction, Education and Evacuation from Disasters Center bolsters the case for doing something to mitigate storm surge, said Phil Bedient, the center’s director, who co-authored the report with environmental attorney Jim Blackburn. “It’s pretty clear that we now really need to have a serious discussion about how to defend and mitigate against surge as best we can. You can’t completely protect an area, but you can reduce the risk,” Bedient said. The report reinforces the notion that Ike could have been worse. Had it struck 30 miles down the Texas coast, for example, the surge at the Port of Houston would have been 19 feet, instead of just over 13. Dr. Merrill has estimated the Galveston portion of the Ike Dike to cost roughly $3 billion, or only 5-6 cents of property tax for residents in the affected counties over the next 30 years. Wayne Klotz, president of the Houston engineering firm Klotz Associates Inc., believes the estimate is higher at around $7 billion to $10 billion. Whatever the final cost may be, advocates believe there is a high benefit to cost ratio for such a project when financial consideration is given for the structure’s potentional to prevent future damage. Even at the high end, $10 billion is a relatively small amount, which would be amortized over decades and which would have long-lasting benefits. Cost is always a consideration, but if that’s the most expensive scenario, it shouldn’t be an obstacle. As the first Atlantic tropical storms of the year make their appearance, we get an update on the proposed Ike Dike. One of Hurricane Ike’s legacies may be the hardening of the upper Texas coast against hurricane storm surges. Within weeks, a post-Ike committee appointed by Gov. Rick Perry will recommend that six Texas counties band together to form a storm surge suppression zone. In effect, this would empower the counties — Harris, Galveston, Brazoria, Orange, Chambers and Jefferson — to seek state and federal funding and identify the best system of dikes, gates and seawalls to protect coastal communities — including the city of Houston and its Ship Channel industries — from devastating surges. “We would like the counties to work together to study the potential of protective measures, whether it’s a levee system, a dike, an offshore barrier or something else,” said former Harris County Judge Robert Eckels, who chaired the Ike committee. Ultimately, such a project is likely to cost billions, with funds coming primarily from the federal government. Oh, that evil, evil federal government and its dirty, dirty money! Always doing things for us that we’re unable to do for ourselves. Why must we suffer under the burden of their yoke? The recommendation will come amid a growing discussion in the area on whether Ike’s primary lesson should be to harden the Texas coast against storm surges, or to pull back from development in threatened areas such as Bolivar Peninsula. The committee appears to back the “Ike Dike” approach advocated by oceanographer William Merrell of Texas A&M University at Galveston. He said area county judges are receptive to studying the idea further. But some, including Harris County Judge Ed Emmett, are skeptical. “It’s an expensive proposition for a potential protection from one hurricane factor — storm surge — while doing nothing to protect us from wind, which was obviously a great problem here in Harris County,” said Emmett’s spokesman, Joe Stinebaker. Additionally, many environmentalists and scientists believe more coastal development — which a dike could encourage — is not the best public policy. In June the Houston Endowment gave $1.25 million to Rice University’s Severe Storm Prediction, Education and Evacuation from Disasters center, in part to study coastal development and storm surges. The money will allow environmental attorney and coastal expert Jim Blackburn and others to explore alternative visions to simply hardening the coast as part of a report due in two years. Blackburn says dike alternatives include turning much of Bolivar Peninsula into a national seashore and expanding wildlife refuges in Chambers and Jefferson counties. I have a lot of sympathy for that position. I also have a lot of doubt that the political support to go that route. Is there a viable non-dike solution if you assume that the current level of development will remain as is? I could maybe see that happening. Alternately, I could see putting some restrictions on new development, which maybe you could get through as an accompaniment to an Ike Dike. I’ll be very interested to see what their proposed alternatives are, but I have my doubts as to their prospects. This certainly sounds like a promising idea. Protecting the region from a hurricane’s storm surge, says William Merrell of Texas A&M University at Galveston, is simple: Extend Galveston’s seawall to the island’s West End, build a similar structure along Bolivar Peninsula and construct massive Dutch-like floodgates at the entry to Galveston Bay. Merrell’s “Ike Dike” idea, which would cost at least $2 billion not including land acquisition expenses, has gained momentum in recent weeks. Gov. Rick Perry’s post-Ike Commission for Disaster Recovery and Renewal reviewed the concept and unanimously recommended that the state fund a feasibility study to look at flood control efforts along the entire Texas coast. “When I first heard about it, I thought it was a pretty outlandish project, but the more I’ve thought about it, the more I think we need to look into something like this,” said Bill King, a former mayor of Kemah who is a member of the Ike commission. The upfront cost may seem high, but storm surge damages caused by Ike along the upper Texas coast may have exceeded $10 billion, and that was for a hurricane that came in too far north to cause maximum damage to Galveston Island and heavily populated communities along western Galveston Bay. Compared to the cost of an actual hurricane, as we have so clearly seen, this is downright cheap. Even if the $2 billion estimate is off by a factor of ten, this would be a worthwhile investment. A feasibility study would be a few million bucks, and that’s a no-brainer. The only question there is what needs to be done to appropriate the money. Environmentalists familiar with the dike proposal say the large retractable gates it would require on Galveston Bay, as well as smaller ones at San Luis Pass and the Intracoastal Waterway, would inhibit fish migration and raise a host of other potential environmental impacts. But perhaps even more significantly, said Jim Blackburn, an environmental attorney and coastal expert based in Houston, the dike proposal would give carte blanche to developers and businesses to continue building in sensitive areas around Galveston Bay. “I don’t personally think this is the solution to this area’s incredible vulnerability to hurricanes,” Blackburn said. Well, yeah. I appreciate the concern, but the potential benefit is very high, and I don’t see the worries about developers carrying much weight as a counter-argument. The best bet at this point will be to make sure that future feasibility study takes these kind of costs and their mitigation into effect. More at SciGuy. On a related note, one preseason hurricane forecast for 2009 has been ticked down a notch, from a guess of 14 named storms to 12. The quieter this season is, and the farther removed we get from Ike, the more complacent we’re likely to get. If there’s something that should be done, the sooner we do it, the better.